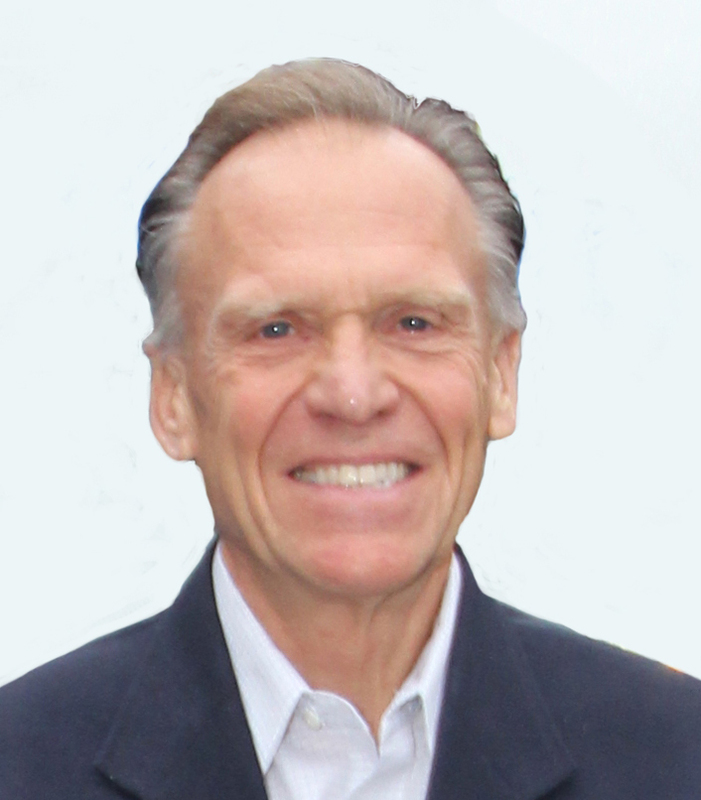 Founder & President, Optimation Technology, Inc.
Bill Pollock is founder and President of Optimation Technology, Inc. Optimation is a firm engaged in the design and fabrication of custom manufacturing systems. They are distinguished from other firms by the broad cross section of complementing services they offer for manufacturing companies. Optimation has been listed on the Rochester Top 100 list of fastest growing many times and has grown into a company of over 200 employees. Prior to founding Optimation, Bill was an associate professor of systems engineering at the State University of New York at Alfred. Earlier in his career he spent ten years as a control systems engineer at the Eastman Kodak Co. Bill earned a BS and an ME in electrical engineering from RPI and was elected to the RPI Athletic Hall of fame. He is recipient of the VandenBrul Award as Rochester’s entrepreneur of the year. 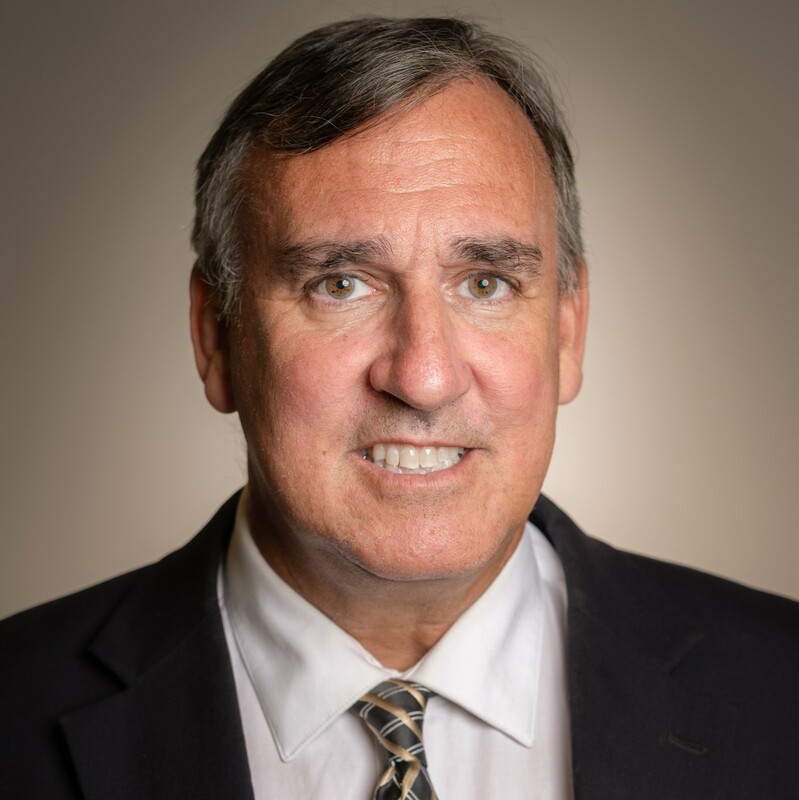 B. Wayne Bequette is a Professor of Chemical and Biological Engineering and the Technical Manager for the Northern Regional Center of the Clean Energy Smart Manufacturing Innovation Institute (CESMII) at Rensselaer Polytechnic Institute. His research efforts are focused on the modeling and control of biomedical and chemical process systems. 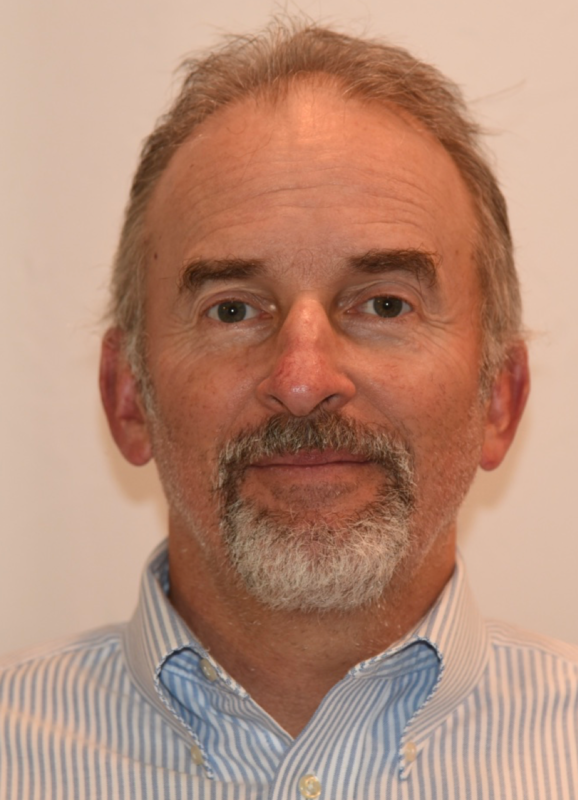 Professor Bequette is the author of over 100 refereed journal publications and two textbooks published by Prentice Hall – (i) Process Control: Modeling, Design and Simulation (2003), and (ii) Process Dynamics: Modeling, Analysis and Simulation (1998). He serves as Board Secretary for the American Automatic Control Council and Vice President of the Computer Aids for Chemical Engineering Corporation. Dr. Bequette is a founding member of the Editorial Board of the Journal of Diabetes Science and Technology, and serves on the Editorial Board of Industrial & Engineering Chemistry Research. 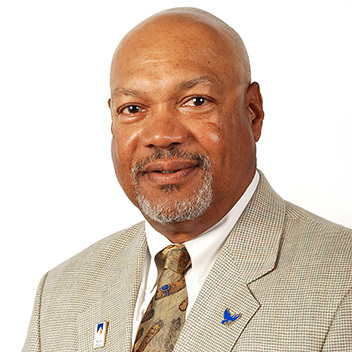 He is a Fellow of IEEE, AIChE and the American Institute of Medical and Biological Engineers, and was inducted into the Arkansas Academy of Chemical Engineers. He is an avid bicyclist (commuting to campus in upstate NY throughout the entire year) and pole-vaulter (Master’s level competition refers more to age than skill level). Dr. Stuart Cook was named Lead Scientist, Materials Informatics & Cognitive Computing, in the Modeling & Computational Science division in March 2018. He is responsible for leading several efforts to innovate at the intersection of materials science, data science and cognitive computing. Prior to his current position he served as Senior Research Scientist in Applied Research & Development, Corning Optical Communications, Hickory, NC. Cook joined Corning Incorporated in January 2016 as Research Scientist in Global Research, Corning, NY, a role he held until early 2017. Before joining Corning, he worked as a Postdoctoral Research Associate at the Massachusetts Institute of Technology. Cook holds a PhD in Materials Science from Imperial College London and a master’s degree in Materials Science & Engineering from the University of Sheffield. Steve Derby is currently working with AutoGuide Mobile Robots as Technology Lead. He is exploring new markets, partnerships and technology developments. Steve is an Associate Professor Emeritus in Mechanical Engineering at RPI and was an active member of the NYS CATS for many years. Steve has worked with a number of industrial projects within the CATS organization and with his outside consulting companies. Projects included fuel cell membrane manufacturing and assembly, automated handling of soft contact lenses, and vertical indoor farming. 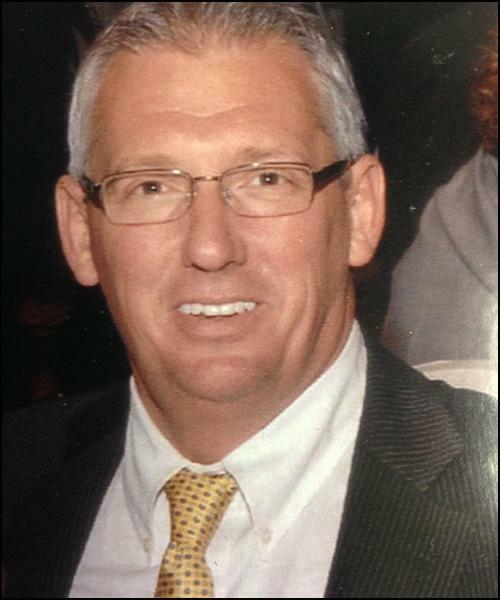 Claude Dinsmoor is General Manager of the General Industry and Automotive Segment for FANUC America. In this role his group manages product planning, pre and post sale application and product support for General Industry and Automotive sectors (“everything except for robots that Paint or Arcweld”). Prior to this he was General Manager of Product Development for FANUC. He was responsible for robot product software development in the US in the areas of programming software, operating systems, safe software systems, machine vision, and industrial networking and communications products. He is a member of the US R15.06 robot standards committee, is a member of the RIA Standards Development committee and helps represent the US in ISO 10218 robot safety standards activities. Claude has worked in industrial robotics product development for over 37 years, first with GE, and for the last 34 years with the FANUC group. 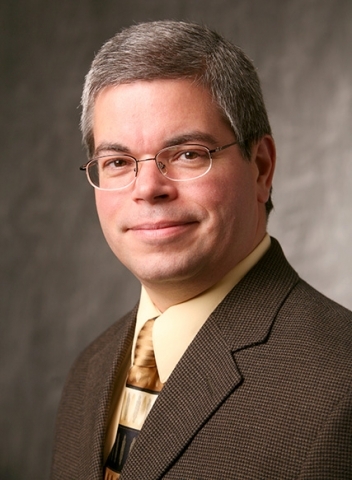 Arnie Kravitz is the CTO of Advanced Robotics for Manufacturing (ARM). 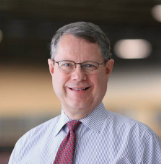 In this role, Arnie drives ARM’s technical vision to help the organization fulfill its mission of increasing US global competitiveness by accelerating innovative technologies that make robots more accessible to US manufacturers. He achieves this goal, in part, by convening experts and stakeholders from among ARM’s industrial, academic, non-profit, and government partners. Arnie has spent more than 37 years designing, developing, and manufacturing a large portfolio of products that include aquatic robots, autonomous vehicles, robotic, augmented and virtual reality vision systems, self-learning inference engine-based systems, commercial consumer electronics, and cryptographic devices. He has taught as an Adjunct Professor at The Johns Hopkins University and has significant experience exploiting emerging tools and techniques to rapidly transform new ideas into manufactured products. Arnie holds a master’s degree in Electrical Engineering from Rensselaer Polytechnic Institute. 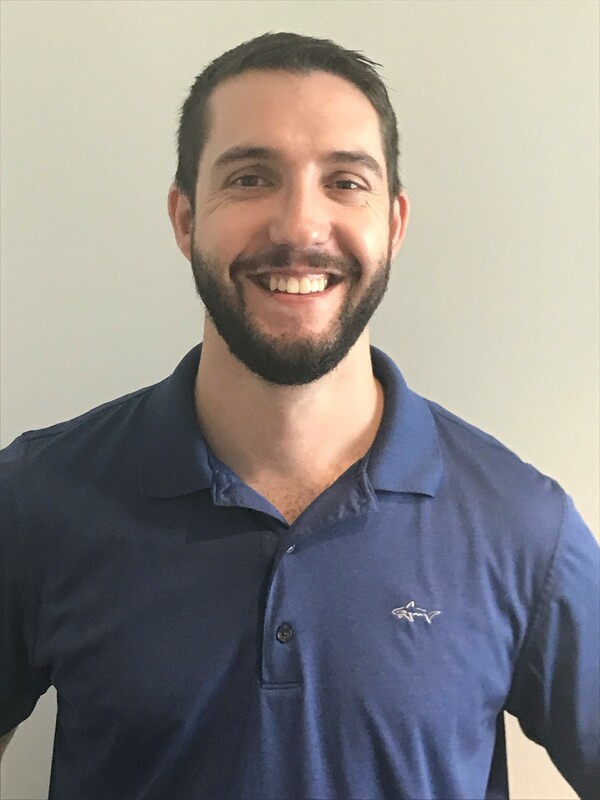 Cody Larson is a sales engineer for MESH Automation, located in Dawsonville, Georgia, with over 10 years of experience in manufacturing automation and welding operations. He has previously worked as a welder at a heavy industry contractor, a process engineer at General Motors and various engineering roles at MESH Automation. For the past five years Cody has been focused on robotic welding and robotic post weld processing. He has been instrumental in developing MESH’s pre-engineered flexible automation cells (MAC) that focus on robotic welding and post weld processing such as deburring, brushing, grinding and buffing. Cody earned his master’s in mechanical engineering from Michigan Technological University, has held an AWS welding certification along with various site certifications for welding. Professor Dan Lewis is an associate professor of Materials Science and Engineering at Rensselaer Polytechnic Institute. 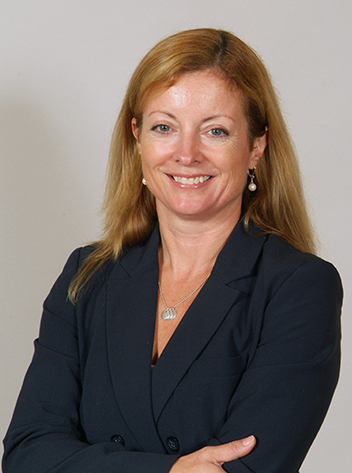 Prior to joining Rensselaer, Dr. Lewis was a researcher at GE Global Research. His work focused on oxidation performance and deformation processing of advanced ferritic materials for SOFC interconnects. In addition, he studied the metallurgy and electrical properties of amorphous and nano-crystalline soft magnetic materials, oxidation resistant coatings for superalloys, and infrared heating technology development. Prior to joining GE Global Research, he was awarded a two-year National Research Council post-doctoral fellowship. Under this award, he worked at the National Institute of Standards and Technology (NIST) to study eutectic solidification microstructures using experimental and computational techniques. While at NIST he co-developed a technique for quantifying solidification microstructures in ternary eutectics. He also studied the effect of solidification velocity on the phase distribution in low-volume fraction ternary eutectics containing intermetallic phases. His research focuses on prediction of microstructural features resulting from thermal-mechanical processing. 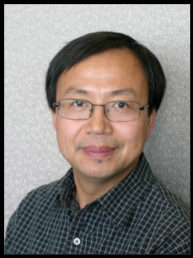 Dr. Yong Liu has been with ON Semiconductor Corp in South Portland, Maine since September 2016 as a Principal Member of the Technical Staff. Before Fairchild was acquired by ON Semiconductor, he was a Distinguished Member of the Technical Staff since 2015, a Senior Member of the Technical Staff from 2008 to 2014, a Member of the Technical Staff from 2004 to 2007, and a Principal Engineer from 2001 to 2004. His main interest areas are advanced analog and power electronic packaging, modeling and simulation, reliability and material characterization. He has been invited to give numerous keynotes talks, presentations and professional short courses. He has authored and co-authored 3 books, 3 book chapters and over 180 papers in journals and conferences and has been granted 45 US patents. Dr. Liu has won numerous awards including Alexander von Humboldt Fellowship in 1994, the Fairchild award for Power of Pen first place in 2004, Fairchild Built in Quality Award in product innovation in 2005, Fairchild Key Technologist in 2006 and 2009, the first Fairchild President Award in 2008, numerous IEEE best paper awards and the IEEE CPMT Exceptional Technical Achievement Award in 2013. He was elevated as IEEE fellow in 2015. Professor Antoinette Maniatty has been working in the area of modeling the behavior and evolution of materials during processing for over twenty-five years. 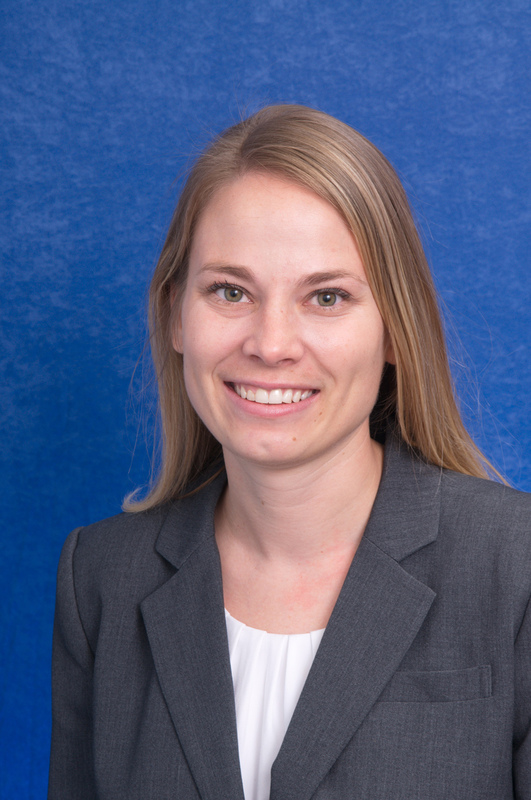 Her recent projects include developing thermal-mechanical-material simulation tools for modeling laser-based additive and subtractive manufacturing processes, and modeling microstructural evolution during thermal-mechanical processing of titanium alloys. She earned her Ph.D. from Cornell University in 1991, her M.S. from the University of Minnesota in 1988, and her B.S. from Rensselaer Polytechnic Institute in 1987, all in Mechanical Engineering. After spending one year as a Visiting Lecturer at the University of Natal in Durban, South Africa, she joined the faculty at Rensselaer in 1992. She was the Clare Boothe Luce Assistant Professor from 1992-1997. In 1993, she received a National Science Foundation Young Investigator Award. 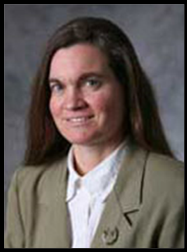 In 2001, she was the first Loewy Visiting Professor in the Materials Science and Engineering Department at Lehigh University. She is a Fellow of the ASME. Alain Ouellette was named Executive of the GE Aviation Global Automation R&D Center in the fall of 2011. He was previously involved with Operations and NPI at the GE Bromont Aviation manufacturing site. The Automation site was officially opened in July of 2013 by GE Chairman Mr. Jeffrey Immelt. This organization, co-located with the manufacturing operations has a mandate of deploying automation solutions for the eighty plus sites located in twenty one countries worldwide. He started with GE in 1989, taking on multiple assignments in operations, manufacturing and quality. He had previously worked for two years at Bell Helicopter. 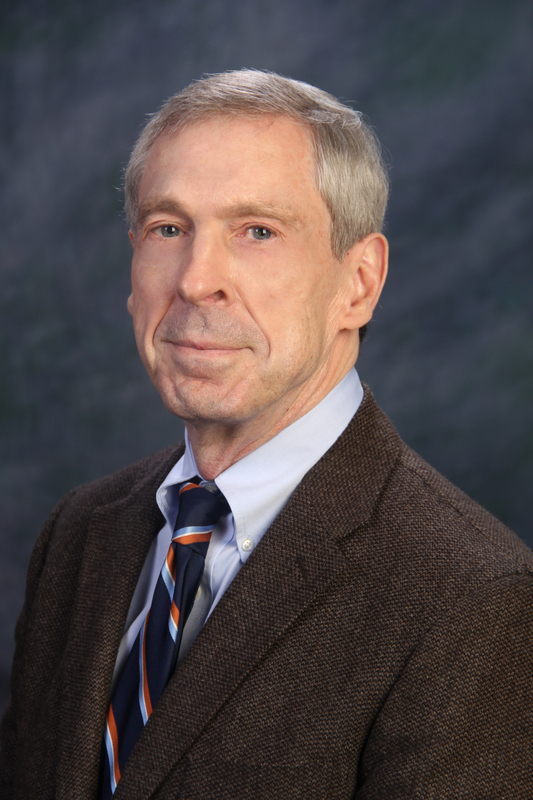 Dr. Stephen Rock is a Senior Research Scientist in the NYS Center for Automation Technologies and Systems at Rensselaer Polytechnic Institute. Steve serves as lab director for the CATS' Additive Manufacturing Lab, and he leads projects and conducts research on information-driven manufacturing process development - often involving advanced technologies such as laser systems, industrial robotics, and ultrasonic processing. 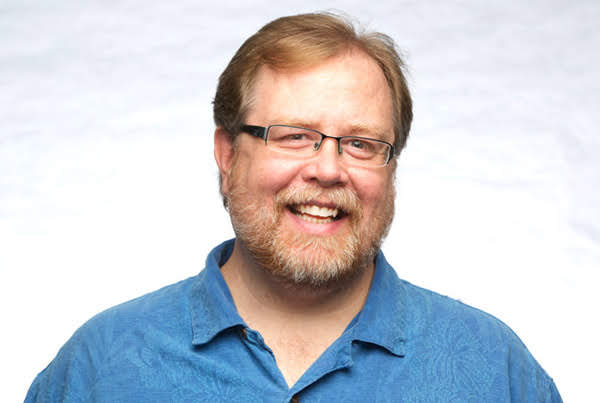 Steve began work in Additive Manufacturing in 1989 on CAD/CAM interfacing, model validity checking, automated repair, topology-based slicing, and creation of an improved file format for storing facet model data. Steve invented and patented a powder-based metal additive manufacturing process, and he applied finite element modeling techniques and powder sintering models to perform shape optimization and correct for process-induced geometric distortions introduced during powder consolidation. Steve leads metal additive manufacturing R&D within the CATS and serves on the NY State Additive Manufacturing Steering Committee jointly organized by NYSERDA and ESD/NYSTAR. Steve has also served on the Robotic Industries Association board of directors and chaired the RIA Education Committee. Beyond Additive Manufacturing, Steve has conducted research on manufacturing process improvements for fuel cell membrane electrode assembly production. Results of this work have been commercialized and fielded on manufacturing lines in Germany and the United States. Steve participated on the team that proposed, won, and developed several courses for an NSF sponsored IGERT in the Engineering, Science, and Entrepreneurship of Fuel Cells, and he participated on the multi-year DOE project entitled Adaptive Process Controls and Ultrasonics for High Temperature PEM MEA Manufacture. He served as a Subject Matter Expert on the ONR-sponsored Fuel Cell Manhattan Project, and he has conducted numerous projects related to manufacturing process energy efficiency and energy management algorithm development. 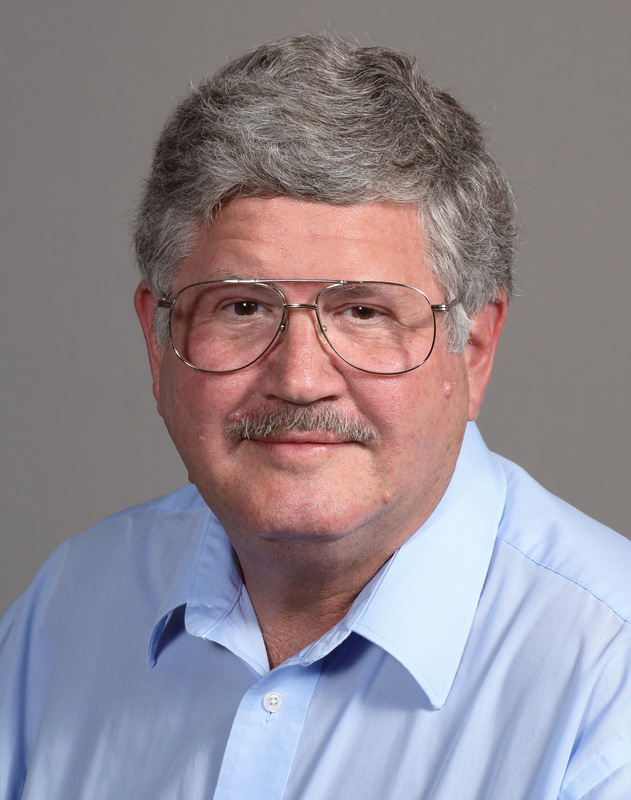 Larry Ruff, Ph.D. is a Senior Systems Engineer in the School of Engineering at Rensselaer Polytechnic Institute. His responsibilities include managing activities in the Manufacturing Innovation Learning Laboratory (MILL) and teaching courses in manufacturing. The MILL is a teaching facility that includes a wide range of manufacturing capabilities. Dr. Ruff’s industrial experience includes work in the areas of robotics and automation, machining, machine tool design and composites manufacturing. 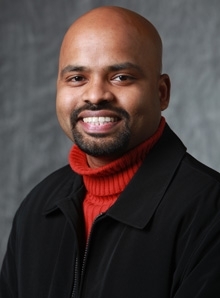 Dr. Johnson Samuel currently serves as an Associate Professor in the Mechanical, Aerospace and Nuclear engineering department of Rensselaer Polytechnic Institute (RPI), NY. As director of the Nano/Micro-scale Manufacturing and Material Design Lab (NanoM3 Design Lab) at Rensselaer, he leads research and education efforts in the areas of advanced manufacturing and material design. The lab has attracted funding from several agencies including the US NSF, New York State Energy Research and Development Authority, Defense Health Program, America Makes, DARPA and NASA. His research recognitions include the National Science Foundation CAREER award (2014), Rensselaer School of Engineering Research Excellence Award (2016) and The World Economic Forum – Young Scientist Award (2016). He has also been awarded the Rensselaer Class of 1951 Outstanding Teaching Award (2014) and the School of Engineering Education Innovation Award (2015), in recognition of his manufacturing education efforts at RPI. Dr. Samuel the is an alumnus of University of Illinois (PhD Mechanical Eng. 2009, MS Industrial Eng. 2003) and was the recipient of their 2016 MechSe Outstanding Young Alumni Award. 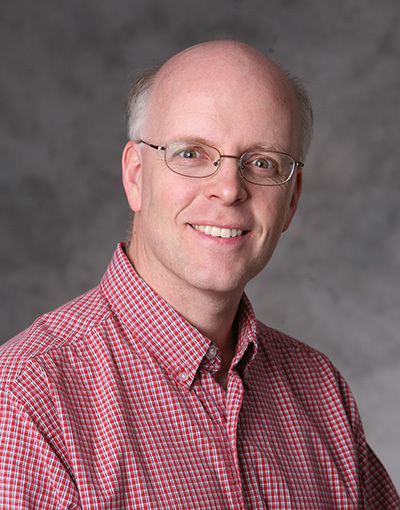 Glenn Saunders is a Senior Research Engineer with the Center for Automation Technologies and Systems (CATS) at Rensselaer where he has been conducting industrially relevant, applied research for 20 years, specializing in robotics, manufacturing processes and new product development. Prior to that, he spent 15 years in industry, where he worked in machine tools, automation systems, robotics, manufacturing and machine design. He has an M.Eng. in Mechanical Engineering and is a licensed Professional Engineer. He is President and founder of the Upstate New York Laboratory Robotics Interest Group, a 501(c)(3) non-profit industry advocacy organization, and currently serves as the elected Mid-Atlantic Regional Robotics Collaborative Council representative within the Advanced Robotics for Manufacturing (ARM) Institute. Skip Swift is the Vice president and founder of Arcrite Automation, established in 2010. Arcrite Automation provides a wide variety of solutions for manufacturing through ground-up development of semi-automated, “hard-automated”, and fully-automated (flexible) systems. Arcrite specializes in turn-key, tooled systems that incorporate cutting edge technologies and custom engineered solutions. Mr. 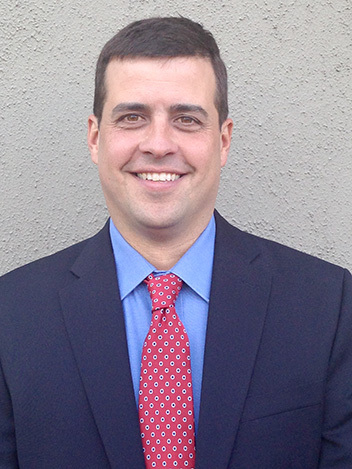 Swift serves as Vice President with an extensive background in business development, sales, marketing, engineering and welding solutions. His background is a result of a family manufacturing business that targeted production welding solutions. Later, as a process specialist for Airgas, Mr. Swift worked with many manufactures in the North-East representing most segments of the metals manufacturing industries. In 1995 his career advanced him to a National Account Managers position with Thermadyne; Responsibilities included new product development as well as support for many large manufacturers throughout the US market. In 2003 Mr. Swift took a Director’s position at ABCO Welding Supply developing their new automation division, Eastern Welding Automation. EWA designed and developed automated solutions primarily for the defense industry. Dr. Charles Burton Theurer is a Principal Scientist at GE’s Research Center. He earned his BS, MS, and PhD in Electromechanical systems design at the University of Massachusetts, Amherst finishing in 2003. He joined GE’s Global Research Center in 2004 and has been working on design and building of electromechanical systems since. Most recently in his role as Robotics Principal Scientist he has provided Technical leadership to a team of robotics and software research professionals. In this role he leads a team in the creation of a modular autonomy engine using AI & Machine Learning to support robotics generalized autonomy, and democratizing the development of robots. With the goal of Enabling more capable robots, developed in less time, with fewer resources. Earlier, as a Robotics Research Special Projects Leader, Charles lead team of ~25engineers, roboticists, and AI researchers in a Fast-Works style development of GE’s flagship field robotics program focusing on object detection, manipulation, navigation, & robotic autonomy. In his career Charles has published > 10 peer reviewed papers, has > 25 Issued patents, and launched 2 independent businesses within GE. 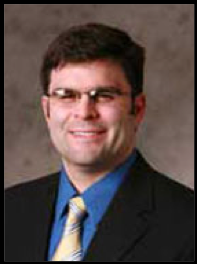 Dan Walczyk is currently the Director of Rensselaer’s Center for Automation Technologies and Systems (CATS), a NY-designated Center for Advanced Technology in Advanced Manufacturing, Automation and Robotics, and also a Professor of Mechanical Engineering. Prior to beginning his academic career in 1996, Dr. Walczyk worked seven years in industry (primarily at GE), did graduate work at Rensselaer and MIT, and held a post-doctoral position at a Fraunhofer Institute for Production Technology, RWTH Aachen. His research interests include advanced composites and biocomposites manufacturing, additive manufacturing, rapid fixturing and tooling, and manufacturing process development. 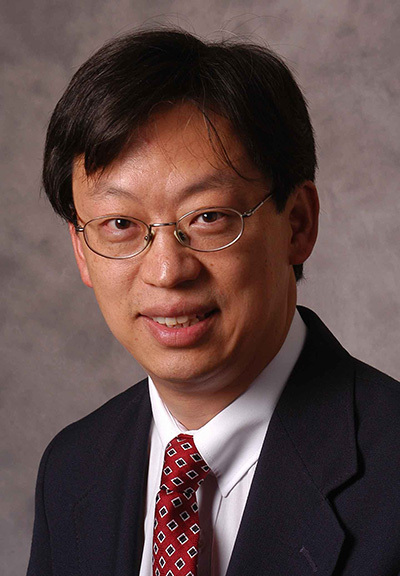 John T. Wen has been with Rensselaer Polytechnic Institute since 1988 where he is currently the Head of the Department of Electrical, Computer, and Systems Engineering. From 2013-2018, he was the Head of the Department of Industrial and Systems Engineering. From 2005-2013, he served as the Director of the Center for Automation Technologies and Systems (CATS). He led the New York State participation in the Advanced Robotics for Manufacturing (ARM) Institute and serves on the ARM Technical Advisory Council. His research is in the area of control theory and applications, particularly for challenging problems that lie at the intersection of multiple disciplines, including robotics, material processing, thermal management, biochronicity, and optomechantronics systems. 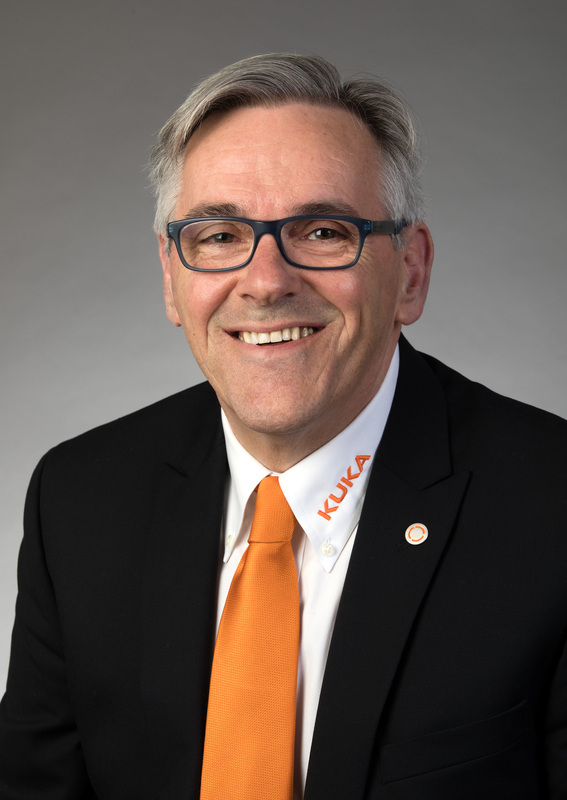 Simon Whitton is the Regional Division of KUKA Robotics in North America, where he oversees KUKA’s welding, electronics, and mobility centers. He has more than 30 years of experience in the robotics and electronics industries and has extensive knowledge in robotics, electronics and manufacturing. Simon previously was at Stӓubli and worked across the globe, including the U.K., France, China, and Japan, before settling in the U.S. to work with KUKA Robotics. Dr. Bin Zhang was appointed research director in December 2017. 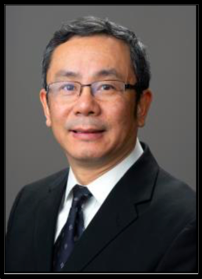 Zhang leads the S&T Modeling & Scientific Computing team and is responsible for providing modeling support for Corning global research, development, engineering, manufacturing, and commercial teams. As leader of the group, he is focusing on developing a strong technical team to deliver impactful solutions to Corning’s technologies and businesses to enhance competitive effectiveness. Zhang joined Corning in 2011 as a senior research associate. His technical contributions are primarily in the development of Corning’s device drop/impact modeling capabilities for consumer electronics, including handheld devices, large display covers, LCD, and OLED displays. In his role, he led the growth of the modeling competency in Sullivan Park, and later expanded to global modeling teams. He worked closely with research, development, and commercial teams to support product reliability assessment and customer engagement for Corning Specialty Materials and Corning Display Technologies. In 2013, Zhang was appointed research manager of the Applied Mechanics Group, S&T Modeling & Simulation. As functional leader of the group, Zhang led the team to provide support in modeling of processes and products for various Corning businesses. Zhang put a considerable effort into people and team development, both in technical capabilities and in workplace culture. Other than managing the Applied Mechanics group in Sullivan Park, Zhang also worked closely with other modeling teams in MTE, Europe, and Asia to develop a collaborative modeling community and build Corning’s global modeling competency. Prior to joining Corning, Zhang held positions at Xerox from 1996 to 2011, including modeling engineer, principal scientist, and manager of the modeling team. Zhang holds a Ph.D. in civil engineering from Rensselaer Polytechnic Institute. 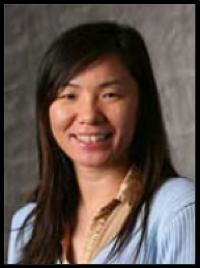 Prof. Lucy Zhang is currently an Associate Professor at the Department of Mechanical, Aerospace & Nuclear Engineering at Rensselaer Polytechnic Institute (RPI). Her research interests are building advanced and robust computational tools and software for accurate and efficient multiphysics and multiscale simulations that can be used for engineering applications. In 2016, she received Young Investigator Award at the International Conference for Computational Methods. Her pioneer work in developing the Immersed Finite Element Method (IFEM) had been and is still being widely used in academic engineering and scientific communities. Recently, the concept has been recently used in simulations of additive manufacturing process where multiphase fluids involving melting and solidification occur. Prof. Zhang is now developing open-source tools and technologies that can conveniently and efficiently couple any existing solvers for multiphysics and multiscale simulations and analysis. The coupled multiphysics code is now integrated with uncertainty quantification framework, which provides convenient way to perform forward propagation of parameter uncertainties, global sensitivity studies, and parameter calibration. Sam Zoubi was appointed director of the Modeling, Simulation, and Analytics directorate in November 2016 in Manufacturing Technology and Engineering (MT&E). Zoubi is leading the modeling function in MT&E and developing the capability of machine and data-driven modeling in partnership with S&T and Corporate Strategy. Zoubi serves on the Modeling and Computational Science Council. Along with the rest of the council, he is responsible for ensuring that modeling is effective in increasing the pace of innovation at Corning. Zoubi is a subject matter expert in modeling and analysis. Zoubi joined Corning in 2004 in Manufacturing Technology & Engineering in the Advanced Process Engineering Directorate supporting Display Fusion Forming Technology process scale up using first principles. In 2007, he was appointed manager of the Advanced Modeling and Analysis group. He has overseen the development of multiple modeling capabilities including solid mechanics, fluid dynamics, and multi-physics. Zoubi also initiated and developed the fracture mechanics modeling capability in Corning. Prior to joining Corning, Zoubi worked as a scientist for modeling and simulation at the University of Stuttgart, Germany. After leaving academia, he worked as principal engineer for Sonder Konstruktion and LeichtBau GmbH in Stuttgart, Germany. In 1999, he co-founded Modeling & Design Company and completed the design of a mega project in lightweight structure. In 2001, Zoubi moved to Thomson Inc. in Circleville, Ohio and worked on forming for flat glass panels. Zoubi earned his Dipl-Ing with a focus on solid mechanics and fluid dynamics from the University of Stuttgart, and received his MSc, Diplom-Eng. and B.Sc in structural engineering and numerical simulation from Damascus University. 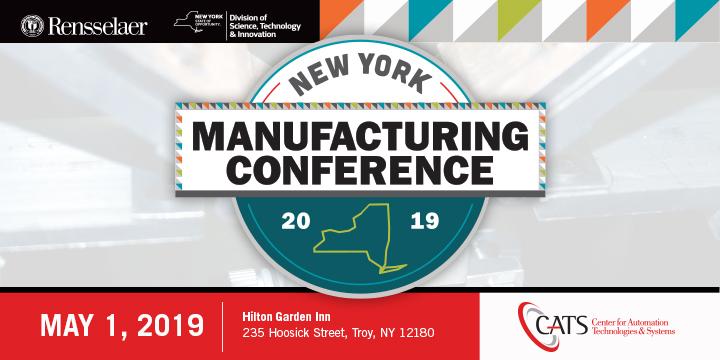 It is my honor to welcome you to the 2019 NY Manufacturing Conference. I will consider this conference a success if attendees experience three benefits. First, enjoy the day – the food, the sessions, the people. Second, learn from the day. From our keynote speaker, Bill Pollock of Optimation, to the break-out sessions and expertise of our exhibitors, we believe we have put together informative, technically relevant, and applicable content. Third, make new connections. We have dedicated networking and exhibitor time blocks for that purpose – so you do not have to choose between a session and making new business contacts. This conference could not happen without the support of so many people. We at CATS heartily thank our sponsors, session chairs, speakers, exhibitors, and students for their enthusiastic participation. About CATS: Rensselaer’s Center for Automation Technologies and Systems is a leading industry provider for applied manufacturing R&D in automation, robotics, and new product development. We are proud to be part of NYSTAR’s Centers for Advanced Technology program. We are a non-profit center with a mission to improve the profitability of our partner manufacturers. 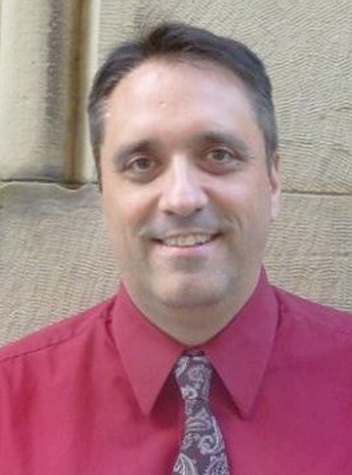 Daniel F. Walczyk, Ph.D., P.E. Dinner and a discussion of resources from State and Federal Programs. Advanced Motion Systems Inc. has been providing automation solutions for a wide spectrum of applications since 1992. From basic machine controls to processes that require extremely complex submicron positioning, vision, lighting, safety, automation and robots, we have the products and expertise to deliver a solution that fits your needs. The Advanced Robotics for Manufacturing (ARM) Institute is a national resource and network for all companies seeking to improve productivity through industrial robotics. ARM-NY, the NYS ARM Collaborative, coordinates the NYS participation in the ARM Institute. ARM-NY is a partnership between Fuzehub and Rensselaer Center for Automation Technologies and Systems, and aims to connect NYS industry with robotics technology, business network, funding opportunities, and human and physical resources in the ARM community. Applied Robotics, established in 1983 and headquartered in Glenville, NY, is a leading provider of specialized robotic end-of-arm tooling and connectivity solutions. Products are designed to bring flexibility, efficiency and increased throughput to automation-based processes. Applied Robotics' tool changers, collision sensors, grippers and accessories serve a variety of markets including automotive, aerospace, energy, life sciences, and general manufacturing. These wrist-down solutions can be found in material handling, assembly, cutting, dispensing, machining, welding and other industrial applications worldwide. ATI Industrial Automation is the world-leading engineering-based developer of robotic accessories and robot arm tooling, including Automatic Tool Changers, Multi-Axis Force/Torque Sensing Systems, Utility Couplers, Robotic Deburring Tools, Robotic Collision Sensors, Manual Tool Changers, and Compliance Devices. Our robot end-effector products are found in thousands of successful applications around the world. Since 1989, our team of mechanical, electrical, and software engineers has been developing cost-effective, state-of-the-art end-effector products and solutions that improve robotic productivity. Beckhoff Automation is a global provider of open automation systems based on advanced PC Control technology. The “New Automation Technology” philosophy at Beckhoff represents universal and open automation solutions used in a wide spectrum of high-tech applications around the world. These applications range from control of machines and robots used in manufacturing, to Internet of Things (IoT) systems, intelligent building automation and much more. Since 1987, the University at Buffalo Center for Industrial Effectiveness (TCIE) has assisted public and private businesses and organizations to develop excellence in people, processes and technology. TCIE leverages UB School of Engineering and Applied Sciences resources to resolve a wide spectrum of business challenges through technical assistance, OpEx/continuous improvement consultation, and professional education. CoveyCS is a software consulting, integration, and development firm with offices in Utica and Rome, NY. We help organizations buy, build, and integrate software solutions to fit specific needs, improve pain points with efficiency, save money, and keep their competitive edge. Our software and technology consulting ensures proper utilization of existing software, correct purchase of new software systems, and successful integrations with current or custom software. We specialize in process architecture, process automation, ERP applications, SaaS development, software integration, cloud architecture and design, custom solutions, DevOps continuous integration, and staff augmentation. CS Automation is a fluid power automation distributor that focuses on offering engineered pneumatic automation and electrical actuator solutions for machinery. We also offer technical support in fluid controls for instrumentation and the process control markets. We are very skilled at building higher level sub-assemblies for many customers using our core products in all segments of manufacturing from medical, automated assembly, food processing, printing, packaging, electronics assembly to heavy vehicle systems. CS Automation also has great expertise with pneumatic controls for air ride suspensions, air brake systems and lift axles on heavy vehicles. Euchner USA is a subsidiary of Euchner GmbH, a leader in designing and manufacturing safety interlocks. Our solutions include: RFID Safety Interlocks, Machine safety control pendants, Electromechanical safety Interlocks, Safety Relays and Programmable Controllers, Access Control Products designed to limit access to parameters. FuzeHub provides New York State manufacturers with guided access to our extensive network of industry experts, programs and assets to solve productivity, commercialization, research and development issues, and other challenges to growth. The FuzeHub team consists of experienced manufacturing and business professionals who are knowledgeable gateways to New York State’s vast technology, research, engineering, and equipment assets. FuzeHub responds directly to all company requests within 24-48 hours, as the first step to connecting you to specialized technical resources, programs, and services. Haun distributes welding supplies, industrial supplies, and compressed and liquid gases through 19 stores located within this region. 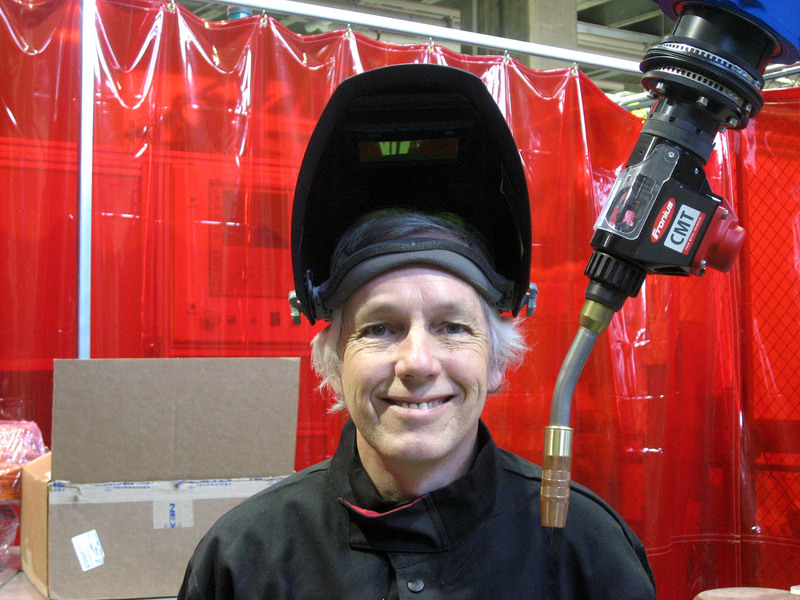 We also provide welding training, repair, and rental services. Industries serviced by Haun include construction, fabrication, manufacturing, commercial, medical, laboratories, education, and homeowners. Horizon Solutions delivers industrial automation solutions through control systems, motor control, and smart device portfolios for applications from simple machines to complex process systems. Our products, solutions, and professional services can help you address your network infrastructure, industrial security, automation, and information solutions needs. Let us help you design, implement and support your automation investment. Minuteman | Empire Automation Systems (MASEAS) is the singular force driving Minuteman Automation Systems and Empire Automation Systems. Both companies have decades of experience operating as premiere industrial automation distributors in the Northeastern United States and within the last few years have branched out to also be leading technical value providers. Our offerings and expertise span many product segments including robotics, motion control, pneumatics, vision, and marking & traceability. MASEAS prides itself on being customer focused and driven by honesty, integrity, accountability, respect, and innovation. New Scale Robotics is a division of New Scale Technologies. Inc. and located in Victor, NY. Founded in 2002, New Scale delivers smart motion solutions that make our customers more competitive. We design and manufacture unique motion products that provide the smallest size, highest precision, “plug-and-play” integration, and save time. In 2018 we launch New Scale Robotics to deliver precision smart grippers and end-of-arm tooling for the collaborative robots. Our team has created extensive IP and proprietary know-how including 19 patents for SQUIGGLE® & UTAF® piezoelectric motors, drives, mechatronic motion systems and advanced manufacturing processes. Optimation Technology, Inc. is focused on supporting and strengthening the US Manufacturing Industry by designing and fabricating custom automated manufacturing systems. Optimation is unique in its ability to provide complete engineering, automation, construction and maintenance services, from the conceptual stage to full production-scale operations. 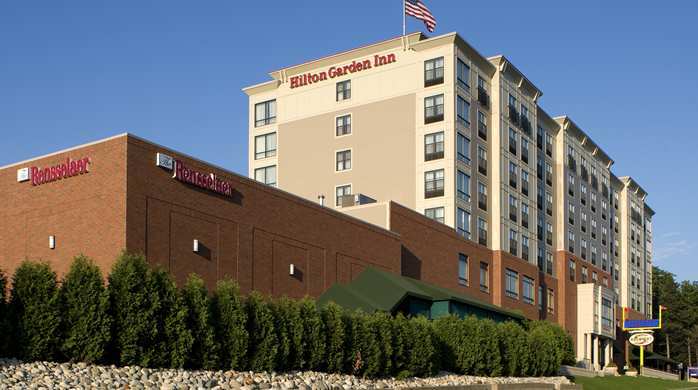 From their facilities in Rochester, NY Optimation's multidiscipline engineers, systems integrators and skilled tradesmen work together to successfully deliver thousands of projects each year. Clients are located throughout the US and the world. Leveraging ISO9001 and CSIA Best Practices, the Optimation project team's complementary skill sets offer a single source for seamless, cost effective and timely project completion. Optimation serves clients across a wide spectrum of industries, including chemical, life sciences, oil & gas, glass, utilities, automotive and aerospace. Precision Design Solutions provides mechanical engineering support for companies large and small. With over 25 years of custom mechanical design experience and the latest 3D CAD software (PTC Creo, Solidworks, Autodesk Inventor), PDS allows businesses to augment their in-house staff as needed, bring specialized expertise to their design projects, and access on-demand product and development support. PDS offers custom mechanical design and analysis that is specific, creative, and application driven taking projects from concept to production. Specializing in “one-of-a-kind”, PDS can provide engineering and design support for electro-mechanical devices, specialty tooling, prototypes, process piping systems, structural platforms, frames, and more. Areas of expertise include: mechanical design, structural analysis, finite element analysis, 3D modeling, and detailed manufacturing drawings for a wide range of industries and applications. Robotunits has the smartest fastening technology for aluminum extrusions in the industry! Out of New Jersey, we design, manufacture and deliver high quality extrusion and conveyor technology as well as safety fence and linear motion systems for material handling and assembly applications. The idea of the Robotunits modular automation system is to use the least possible number of components to offer a maximum of possible solutions. For Robotunits customers, this translates into time and cost savings in design, logistics, storage, training and assembly. Read about exhibiting and contact us! The Business Council of New York State, Inc., is the leading business organization in New York, representing the interests of large and small firms across the state. Membership is made up of roughly 2,400 member companies, local chambers of commerce and professional and trade associations. Though 72 percent of members are small businesses, The Business Council also represents some of the largest and most important corporations in the world. Combined, Business Council members employ more than 1.2 million New Yorkers. The Business Council serves as an advocate for employers in the state’s political and policy-making arenas, working to create a healthy business climate, sustained economic growth, and a strong workforce. The Center for Economic Growth (CEG) is the professional economic and business development organization serving New York’s Tech Valley. With over 200 C-level investors in business, manufacturing, technology, government, education, and the not-for-profit sectors, CEG's vision is to lead Tech Valley as one of the most prosperous and innovative ecosystems in the world. Together with its partners, the organization works to build a skilled and sustainable Workforce and Education pipeline; cultivate a strong Entrepreneurial ecosystem; and ensure a modern Infrastructure to grow local companies, attract new investment and prepare our communities for growth. In addition, in its role as the regional technology development center, and designated by ESD, NYSTAR as part of the NY Manufacturing Extension Partnership and the federal NIST/Manufacturing Extension Partnership, assisting local manufacturing and technology companies with generating new sales, creating stronger operational infrastructure and overcoming barriers to growth and innovation. FuzeHub drives NYS competitiveness in manufacturing by helping companies discover, navigate, and leverage the state’s extensive innovation ecosystem. Matthew C. Watson leads the division of New York State’s economic development agency responsible for advancing science, technology, and innovation in support of industry growth and competitiveness. He oversees $58 million in annual funding that the state dedicates to supporting a robust network of research and innovation assets. These include Centers for Advanced Technology, Centers of Excellence, Innovation Hot Spots, Certified Business Incubators, and Manufacturing Extension Partnership centers. In this role, he has created new initiatives to accelerate the commercialization of research and to improve the pathway by which early-stage New York State companies address growth hurdles and innovation needs. He instituted a new framework for the division’s programs that has resulted in higher volumes of companies drawn into the pipeline of assistance and a more successful method of matching companies to appropriate resources and tracking them to their resolution. The Rochester Technology & Manufacturing Association promotes advanced manufacturing innovation and growth, in the Greater Rochester-Finger Lakes Region, by partnering with industry, academia, and government. Its members are comprised of small to mid-size contract manufacturers which provide assembly, machining, fabrication and engineering services. There are approximately 80 manufacturing companies which employ 4,800 people and another 80 companies which provide services to support the manufacturers. - One registers as exhibitor – then email Brian at apkarb@rpi.edu the names and email addresses of the other attendee(s). He will use promo code to register them without further charges. 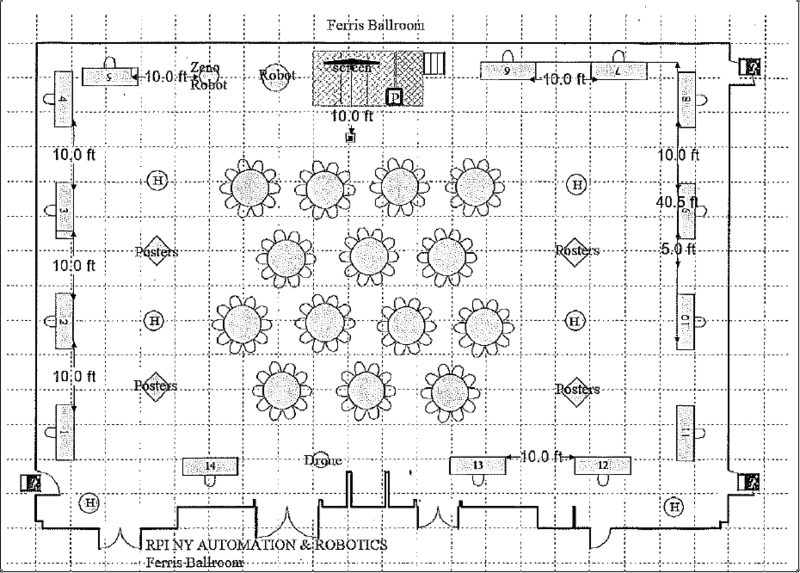 - Review the Conference Exhibitor Layout below. Exhibitor set-up: 6PM Tuesday night – start of breakfast 7:30 AM, Wednesday, May 1, 2019.